Important Update (03/30/10): The 2010 New Home Credit and First-Time Buyer Credit begins May 1, 2010. Applying for the 2010 New Home/First Time Buyer tax credits: Applications must be submitted after escrow closes. The new application will be available by May 1, 2010. We will deny the application if the 2009 form is used or if we receive the 2010 application before May 1, 2010. General Information: These tax credits are available for taxpayers who purchase a qualified principal residence on or after May 1, 2010, and before January 1, 2011. Additionally, the New Home Credit is available for taxpayers who purchase a qualified principal residence on or after December 31, 2010, and before August 1, 2011, pursuant to an enforceable contract executed on or before December 31, 2010. 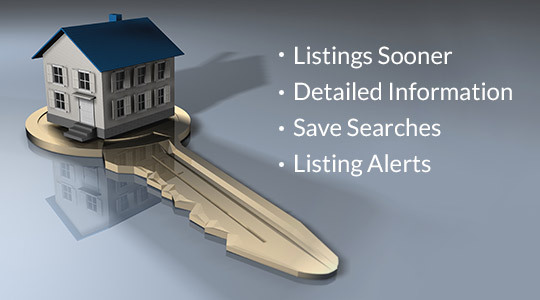 The purchase date is defined as the date escrow closes. These tax credits are limited to the lesser of 5 percent of the purchase price or $10,000 for a qualified principal residence. Taxpayers must apply the total tax credit in equal amounts over 3 successive tax years (maximum of $3,333 per year) beginning with the tax year in which the home is purchased. The tax credits cannot reduce regular tax below tentative minimum tax (TMT). The tax credits are nonrefundable and unused credits cannot be carried over. The total amount of allocated tax credit for all taxpayers may not exceed $100 million for the New Home Credit and $100 million for the First-Time Buyer Credit. However, since many taxpayers will not be able to utilize the entire tax credit, the legislation specifies that the $100 million cap for the New Home Credit will be reduced by 70 percent of the tax credit allocated to each buyer and the $100 million cap for the First-Time Buyer Credit will be reduced by 57 percent of the tax credit allocated to each buyer. We will allocate the tax credits on a first-come, first-served basis. The taxpayer was allowed a 2009 New Home Credit. The taxpayer qualifies as a dependent of any other taxpayer for the tax year of the purchase. Be a single family residence, either detached or attached. The seller does not certify the home has never been occupied. We do not receive the application and a copy of the properly executed settlement statement within 2 weeks (14 calendar days) after the close of escrow. We receive the application or reservation request after the total tax credits available have been allocated. FTB's determination may not be protested or appealed. 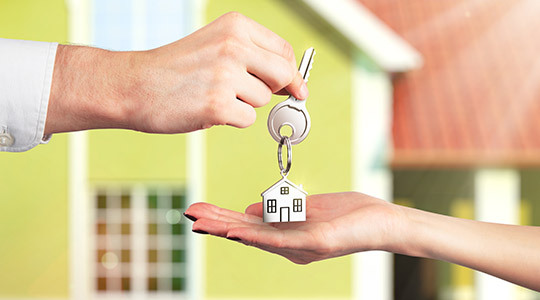 A first-time buyer is any individual (and the individual’s spouse/RDP, if married) who did not have an ownership interest in a principal residence during the preceding 3 year period ending on the date of the purchase of the qualified principal residence. We receive the application after the total tax credits available have been allocated. Applications: We will accept applications beginning May 1, 2010. Do not use the 2009 application. We will post more information by May 1, 2010. Reservations: Taxpayers who qualify for the New Home Credit may, but are not required to, reserve a tax credit prior to the close of escrow. Reservations will become important as we near the $100 million cap for homes that may not close escrow before the cap is reached. To reserve a tax credit, the taxpayer and seller need to complete, sign, and submit to us a reservation request to certify that they have entered into an enforceable contract on or after May 1, 2010, and on or before December 31, 2010. A copy of the signed contract must be included with the reservation request. We will post the reservation form and details about the process by May 1, 2010. If you are only applying for the First-Time Buyer Credit, you will not be able to reserve the tax credit before escrow closes. The taxpayer must receive a Certificate of Allocation from us to claim the tax credit on their California personal income tax return. The Certificate of Allocation will state the maximum amount the taxpayer can claim listed by tax year. The taxpayer should refer to the 2010 New Home / First-Time Buyer Credit Publication for instructions on claiming the tax credit (the publication will be available by December, 2010). Special rules apply to married/RDP taxpayers filing separately, in which case each spouse/RDP is entitled to one-half of the tax credit, even if their ownership percentages are not equal. For 2 or more taxpayers who are not married/RDP, the tax credit amount will have already been allocated to each taxpayer occupying the residence on their respective tax credit allocation letter. If the available tax credit exceeds the current year net tax, the unused tax credit may not be carried over to the following tax year. The tax credit may not reduce regular tax below TMT. The tax credit is not refundable. Any disallowance of the tax credit may not be protested or appealed. NEW YORK (CNNMoney.com) -- Attention shoppers: You have barely a month left before the homebuyer tax credit expires. But depending on where you live, you might not want to rush out to buy. First-time homebuyers may qualify for up to $8,000, while those who are trading up could get as much as $6,500. But either way, buyers have to ink sales contracts by the end of April and close before July 1 to see the refund. And this is absolutely, positively your last chance to claim the credit. (Probably.) So don't wait, thinking the credit will be extended for a third time. There is little sentiment for continuing this program, especially because many consider the latest iteration's results to be disappointing. Even the Senate's biggest proponent of the homebuyer tax credit, Johnny Isakson, R-Ga., is ready to let it end. "He has no plans to introduce legislation to extend the credit," said Isakson's spokeswoman. "Part of the benefit of the tax credit was the urgency its sun-setting generated." That urgency was less pronounced after the latest extension, which was enacted last fall. While the first version, which just covered first-time homebuyers, netted huge sales jumps, the real estate market slumped over the winter and early spring. That may be because some people believed that Congress would just keep adding time to the game clock, according to Nicolas Retsinas, director of Harvard's Joint Center for Housing Study. That could have kept them home by the fireside instead of out house hunting. "The credit's influence and impact has waned considerably," said Retsinas. "You got a lot more bang for the buck on the first go round," added Mike Larson, a real estate analyst with Weiss Research. "Most people acted on the presumption that the credit was going away." Any house hunter considering whether to hurry a purchase to take advantage of the credit should consider where they live. There are many places where home values are projected to fall steeply over the next few months, including Los Angeles, Phoenix, Minneapolis, Washington, D.C., and most of Florida. Take someone shopping for a typical single-family home in the Miami metropolitan area. The median price there is about $215,000 and a qualified first-time homebuyer would pay about $207,000 after the credit is factored in. But prices in Miami are likely to fall 22.5% this year, according to projections by Fiserv and Moody's Economy.com. So by waiting a few months you could nail a $48,000 price cut -- a much better deal than the tax credit..
On the other hand, some cities are expected to post record price gains this year, including Eugene, Ore.; Napa, Calif.; Charleston, S.C.; and Cheyenne, Wyo. Buyers in those markets would receive a double benefit by making their purchases happen this month. Of course, there's no guarantee that the forecasts will be accurate, but they're certainly something consumers should consider. Homebuyers who have not owned a home for the past three years may earn up to $8,000 or 10% of the purchase price, whichever is lower. Buyers who have owned a home for five consecutive years of the past eight qualify for up to $6,500 in credits. There are income limits of $125,000 for single taxpayers and $225,000 for couples. Anyone paying more than $800,000 for the home cannot claim the credit. There's a prohibition on claiming the first-time homebuyer credit if either member of a couple owned a home within the three-year period. They can claim the existing homebuyer credit. Homebuyers who are under 18 or are listed as dependents on the tax returns of others don't qualify. The home must be kept at least three years. The credit may be claimed on 2009 taxes, even if the return was already filed. Just submit an amended return. Note that buyers get the full amount of the credit they're due even if that exceeds the amount of taxes they owe. If you're a first-time buyer and your total tax bill for the year is $6,000, you get all that back plus another $2,000. As credit starts up at a trickle, getting a home-equity line can be a smart move - as long as you use it the right way. (Money Magazine) -- The home-equity line of credit fueled thousands of extreme kitchen makeovers during the real estate boom. But the housing bust and the credit crisis stopped the HELOC party with a vengeance: Tens of thousands of homeowners had their lines cut or frozen, and most lenders stopped issuing new ones altogether. But don't give up on the HELOC yet. As housing prices and the economy begin to stabilize, it's coming back. Many lenders are writing lines again, says MortgageBot, a company that processes real estate loans, albeit half as many as it did during the boom days. True, HELOCs are no longer the screaming deal they once were. Lenders used to offer the lines for half a percentage point below the prime rate (currently 3.25%), but now the cheapest you're likely to find is prime plus a point or so. Most lines also have a floor, or the lowest possible rate they can go, of about 4%. That said, if you have more than 20% equity in your home, a line of credit can still be a relatively cheap way to borrow -- and it's a far better source of emergency cash than your credit card. "Think of a HELOC as a belt and suspenders," says Oakland money manager Marjorie Bennett. To make sure you get the most out of it, follow the rules below. The days when banks would lend you 100% or more of the value of your home are long gone, of course. Most lenders won't approve a line that brings your total housing debt to more than 80% of your home's value, and you'll need a minimum 740 credit score to get that much. But there are good reasons to borrow less. Depending where you live, you probably can't rely on a rising real estate market to knock down your housing debt. You should aim to keep your total monthly debt payments at no more than a third of your take-home pay. Keep in mind that as the economy recovers, HELOC rates will rise too, so borrow only what you could keep up with if rates jump, says financial adviser Don Whalen of Alpharetta, Ga. If you were to take out a $75,000 HELOC today, for example, you'd owe $344 a month in interest; if rates rise a couple of percentage points the monthly tab will jump to $469. Home improvements. Tapping your HELOC to fund necessary projects like a roof replacement is still worthwhile: You can deduct interest on up to $1 million when you use HELOC funds to improve a first or second home, which in turn sharply lowers the real cost of the loan. Renovations that won't necessarily pay for themselves, like a media room or a deluxe kitchen? Take a pass. Car loans. At a 7.3% rate, a three-year new-car loan costs a lot more than a line of credit. A HELOC can be a good substitute -- as long as you expect to pay it back within a few years. You may be able to write off the interest. Though the rules are complicated, in general you can deduct interest on a HELOC for up to $100,000 of non-home-related uses. Student loans. Max out government-backed Stafford and PLUS loans first. The interest on these loans is usually tax deductible, and they often offer flexible repayment plans. But if you have to take a private loan, a HELOC can be a cheaper alternative. Small business. Entrepreneurs have long used HELOCs as easy business lines of credit to smooth out bumpy income. Steer clear of that unless you're confident the business is solid, says Newtown, Pa., financial adviser Jonathan Heller. If you're going to use a HELOC as an emergency fund, you have to make sure your line isn't pulled out from under you. Most banks have stopped freezing existing HELOCs, but that could happen if real estate values drop in your neighborhood. Your best defense is to use your line regularly, even if you take out just $500 at a time. Even during the worst of the credit crisis, issuers weren't freezing or closing HELOCs that were in use as long as the homeowners weren't underwater, says financial adviser Kevin Reardon of Brookfield, Wis. If you think you'll need to use your HELOC in a few months and are concerned that it could get chopped, borrow the funds now and park them in an FDIC-insured account to keep them safe. Then start paying the loan back ASAP. Prices in the S&P Case-Shiller Home Price index of 20 cities rose a non-seasonally adjusted 1.2% in August. It was the fourth consecutive monthly increase and followed a 1.6% gain in July. Prices were down 11.3% versus August 2008, but that drop was less severe than expected. Analysts surveyed by Briefing.com had forecast an 11.9% year-over-year drop. "Broadly speaking, the rate of annual decline in home price values continues to improve" said David Blitzer, chairman of Standard & Poor's index committee. While many U.S. markets remain down versus this time last year, the relative rate of decline "has shown some real improvement," Blitzer added. 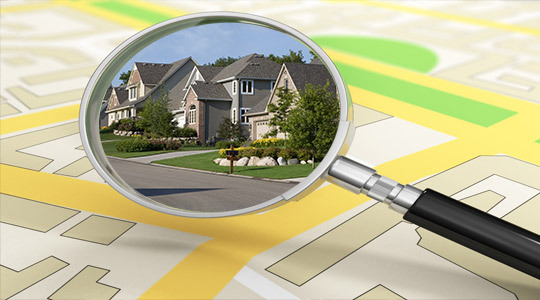 Home prices improved on an annual basis in 19 of the 20 major metropolitan markets in the survey. State by state. In California, home prices have recovered notably from depressed levels in recent months, according to the report. Home prices rose 2.8% in San Francisco during August, while San Diego prices were up 2.5% and Los Angeles gained 1.8% in the month. Minneapolis had the biggest increase, with home prices rising 3.2% from July to August. But prices continued to slide in areas that have been hit hard by foreclosures. Prices dropped 0.5% in Cleveland and 0.3% in Las Vegas during August. A shaky recovery. Overall, the housing market has been stabilizing as low home prices and attractive mortgage rates, as well as government tax credits, have revived anemic home sales.